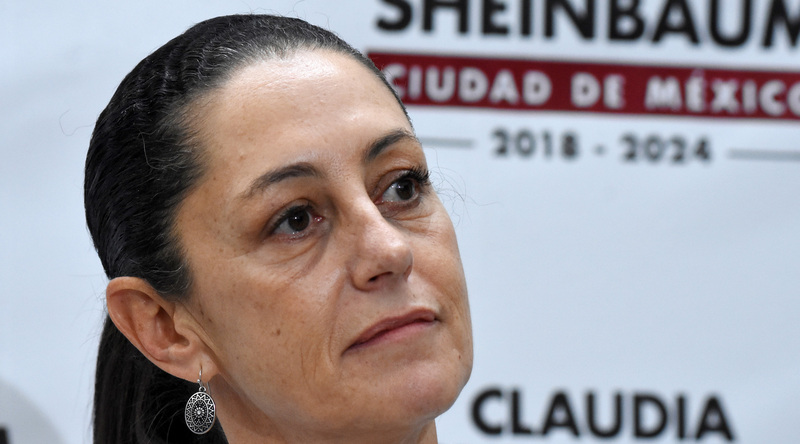 MEXICO CITY (JTA) — It was during her ultimately successful campaign for Mexico City mayor that Claudia Sheinbaum made a reference to her Jewish heritage. Speaking before a group of Jewish women, she said she was proud of those origins. For Sheinbaum, the capital city’s first elected Jewish and female mayor, the reference to her Jewishness was rare. Like many other liberal, secular Jewish politicians around the world, Sheinbaum rarely identifies publicly as Jewish. Despite extensive coverage in the Jewish media, her relationship with her Jewish identity is tenuous. So Sheinbaum, 56, would prefer to talk about issues like high crime rates or social mobility rather than talk about herself. On the infrequent occasions that Sheinbaum shines the spotlight on herself, she mostly emphasizes that she’s a scientist or a woman. She is a well-respected physics and engineering professor who has helped the U.N. research climate change. 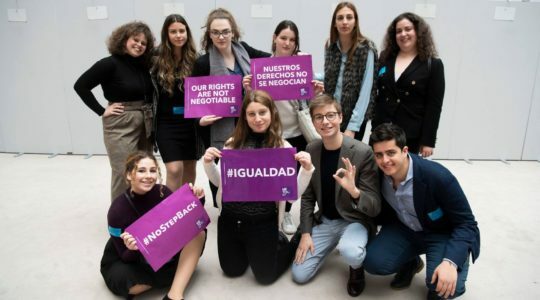 Her family has no formal relationship with Mexico’s institutionalized Jewish community and she has never taken a political stance from an overtly “Jewish” perspective: She hasn’t made any public pronouncement about Israel or spoken as a member of a minority even though Jews make up far less than 1 percent of the capital city’s population. But her identity still complicated her rise to her powerful new post, which she started Wednesday. 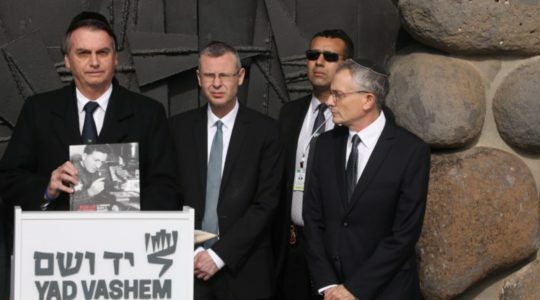 Sheinbaum’s father, Carlos Sheinbaum, was a Mexican-born chemical engineer who spent much of his life living in Guadalajara, once the home of a Jewish community with a few hundred families. His family, originally from Lithuania, arrived in Mexico during the 1920s, like most of Mexico’s Ashkenazi Jews. 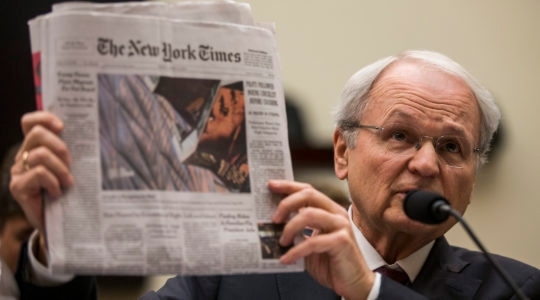 Carlos’ father was a jewelry merchant who was involved behind the scenes in the semi-illegal Mexican Communist Party and had to distance himself from it or face persecution. According to Sheinbaum’s mother, Annie Pardo, the family observed the High Holidays, spoke Yiddish and ate Ashkenazi food at home. Pardo comes from a family of assimilated Bulgarian Sephardic Jews from Sofia who arrived at the port of Veracruz in 1942, barely escaping the Holocaust. She attended elementary school in the Sephardic school of Mexico City, later pursued a career as a biologist and became one of the first Sephardic women to go into Mexican academia. Last week, she received the National Autonomous University Award, one of the most prestigious academic awards in the country, for her studies on lung functions. Both of Sheinbaum’s parents were heavily involved in Mexican leftist circles of the 1960s — they protested in defense of Cuba, were involved in labor movements and joined in the famous student revolts of 1968 that ultimately resulted in police violence. Although the family lived in the Jewish neighborhoods of Polanco and Condesa, they eventually moved south to be closer to the National Autonomous University, where Pardo worked. Claudia Sheinbaum, the couple’s second daughter, went to liberal non-Jewish schools and studied physics at the same university as her mother. An expert on climate change, she was part of an international team that won a Nobel Prize in 2007. Like her parents, she was involved in student activism and, in 1998, helped form the Revolutionary Democratic Party — for many years the main leftist opposition party in Mexico. 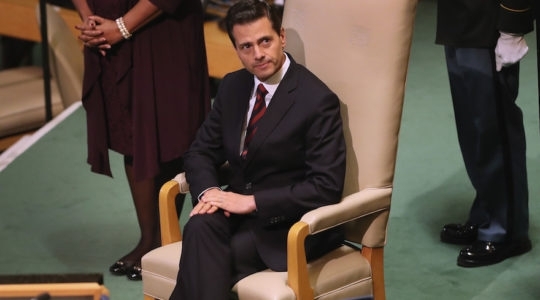 She left the party six years ago to form Morena, or the National Regeneration Movement, with Andres Manuel Lopez Obrador, Mexico’s new president. Sheinbaum’s distance from the Jewish community hasn’t stopped journalists and others from noting her Jewish identity. A 2012 article described a deep division in Morena between Sheinbaum and Alfredo Jalife-Rahme, a well-known geopolitics professor, also at the National Autonomous University of Mexico, who spreads conspiracy theories about the Jewish billionaire George Soros and has been accused of anti-Semitism multiple times by Mexican anti-discrimination authorities. Jalife-Rahme, who says he is a founding member of Morena, has accused Sheinbaum of maintaining close ties with Jewish-owned real estate groups, including Grupo Danhos In recent years, Grupo Danhos has taken heat for constructing a series of massive and controversial shopping centers in Mexico City. Illegal real estate construction has become a touchy subject in Mexico after multiple recent earthquakes — but especially after the recent collapse of a new shopping center, Artz Pedregal, in July. 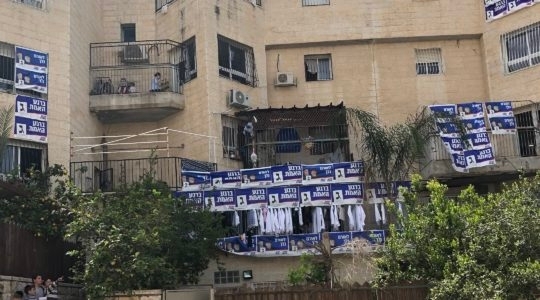 Sheinbaum has not spoken about these claims, but sources close to her told JTA that she has been a vociferous opponent of Jalife-Rahme within the party. She has tremendous clout in Morena, and since her fight with Jalife-Rahme, he has been relegated to a fringe role — he has backed Morena’s surge in the far left media such as Venezuela’s TeleSur channel, but not as an official party member. Apart from this, the local news does not touch upon or discuss Sheinbaum’s Jewish heritage — likely how she wants it.